I Live Again Uganda (ILA) is an indigenous organization with a passion for serving the Acholi people of Northern Uganda. Set up after 20 years of war in Northern Uganda, ILA’s mission is to give hope to the people of Northern Uganda through holistic restoration and encourage those they serve to live a life of purpose. They are a non-profit organization run by Ugandans serving Ugandans in a post war culture. ILA-Uganda has its main base in Gulu, a town in northern Uganda, which is at the heart of the area devastated by the conflict with the Lords Resistance Army. It also carries out programmes in Acholi Quarters – a slum in Kampala where over 11,000 victims of the war reside. 1. 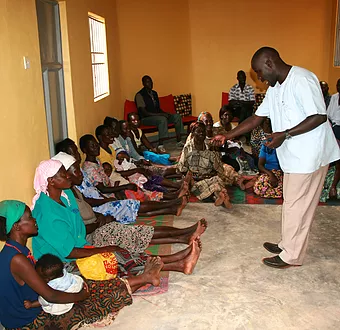 Trauma Counselling – this is provided both in Acholi Quarters, and deep in the villages of the northern region of Uganda where the war occurred. Trauma Counselling occurs both in group settings and for individuals, and is provided for men, women and children. When the stories of victims of war are released through this programme, emotional healing begins. Many share that they thought they were alone in their suffering, but through the counselling they realize that they are not alone. Forgiveness is also major part of the teaching and ILA continues to see incredible healing come as this programme reaches entire families and entire villages. 2. Discipleship – after the war many people have struggled and even questioned their faith. Questions of “Why did God allow this to happen?” “Why did I have to suffer so much?” and even “Why did God allow me to survive the war?” ILA provides each person with a bible in their own language and a safe place for people to share their questions and grow and find healing together. 3. Resettlement – Life in Acholi Quarter is very difficult and many families desire to return home to their villages in the north now that the war is over and peace has returned to the northern region of Uganda. ILA runs a resettlement programme that supports families displaced and living in Acholi Quarter to return to their villages. Before anyone is resettled back to their village they attend the Trauma Counselling and Discipleship Programmes. An assessment is then done and ILA staff travel with the family to their village to make sure those already in the village will welcome the family back home because many times the war caused challenges and divisions within families. ILA encourages the family members in the village to participate in supporting in the resettlement and provides resources to build a home, a toilet, food for 3 months, seeds for planting crops, farming tools and some basic household items. This programme continues to be one of their most needed and requested. 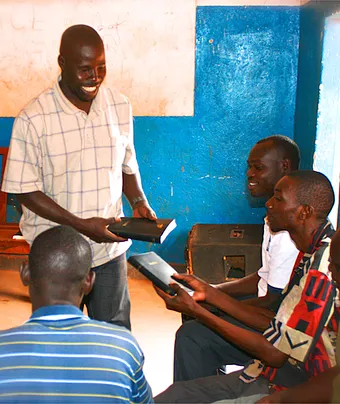 CRED supports all aspects of the work of ILA-Uganda, including opportunities for individuals and families to donate to the resettlement programme, and providing professional training for the counsellors on the ILA staff team.